Double-sided transparent tape that disappears after washing. Will not gum up your needle when sewn through. 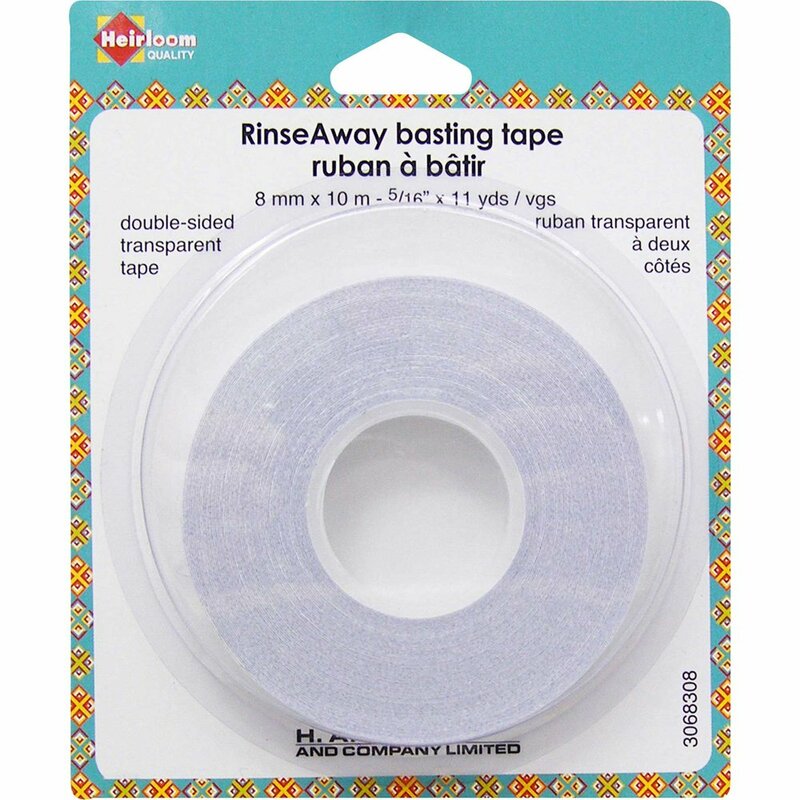 This multi-purpose tape can be used for basting, binding and hemming, stabilizing stetch and slippery fabrics, matching plaids and holding trims and appliques in place while stitching.